In this episode we kick off our series, “What is Art?” We discuss Plato’s damnation of art itself. Is art significant? Is art important and significant in society today? What role does it play in the grand plan of redemption? These are the questions we grapple with this week and over the following few weeks. As we get into Plato and his thoughts on art, we see that Plato thinks that art is imitation. It merely represents reality—what we see is an imitation of the reality. Such a mindset and thinking permeated art and the culture and started a move towards art as imitation rather than art being anything else: Plato Philosophy video. Roy talk bout a book called Jesus is Coming, So Go Plant a Tree where he discusses the necessity for us to engage in culture. 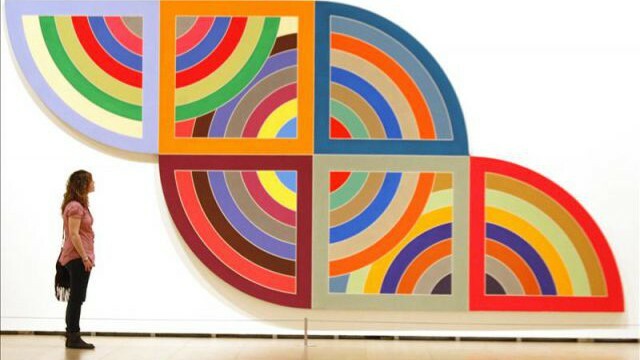 We also talk about and look at pieces of art by Frank Stella – Protractor Series 1967-1970 and look at what this art is a imitation of. Tweet towards us on Twitter. Email us with feed back or suggestions: aorfeedback@gmail.com!